Best Italy Beaches! Italy is known for many things, including its remarkably beautiful beaches. 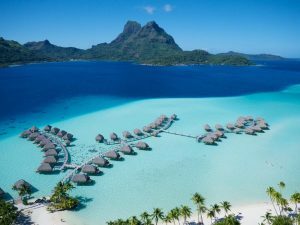 If you are planning to visit this country, you will need to know about some of the best beaches to visit. These gorgeous natural attractions will provide you with an idyllic place to relax and enjoy your trip. It’s almost impossible to choose only 20 of the most beautiful Italian beaches! There are countless of them around the country! However, we have found the best for you in Sicily, Sardinia, Elba and the mainland. Acquafredda is a nice little village that is located close to Maratea, and it has some truly amazing beaches for you to visit. Part of the fun of visiting this beach is getting there. You will have to drive through the winding mountain roads before arriving at these sandy beaches. Midnight Cove beach is particularly striking and great to just walk along. These beaches are surrounded by tall cliffs, which make for one very memorable view. This is one of the few places where just lying around is an incredible experience. The Best Beach Hotel in Italy! Looking for some of the Best Beach Hotels in Italy? I made some research and found Il Pellicano hotel located in a charming place with a great view of the sea! Listed by The Telegraph among the best beach hotels in Italy it must definitely be a guarantee of unforgettable holidays in Italy! Camogli Beach in Liguria is another very beautiful place to visit when you come here. There are numerous clubs and resorts in this area as well. This particular beach has miles of sandy shore for you to walk along and admire the view. Here you can take a scuba diving course to get certified if that is something you’re interested in. You can order drinks on the beach and they will be brought right to you. The mountains in the background make for a spectacular scene that you will never forget. This is one of the most gorgeous places in all of Italy. Procchio Beach on the island of Elba Island, Tuscany, is a great place for the whole family to visit. It will provide you with some really memorable scenery and great swimming opportunities. Lots of people also come here to surf and scuba dive. The La Guardiola Saling Club is nearby. You will be able to rent canoes to take out on the ocean as well. The bar here will give you the perfect place to relax with a drink while you take in your beautiful surroundings. Anyone who visits Italy should try to come here at least once. Capreria Beach, which can be found in Sicily, has tons of tiny coves that you can feel free to explore while you are there. Unlike so many other beaches across the country, this one isn’t typically packed with tourists. If you are looking to get away from the hustle and bustle of the city, this is a fantastic option to consider. It has crystal clear waters that are ideal for swimming and diving. You will also find some nearby hiking trails if you want to get some exercise while exploring the local scenery. Fuili Cove in Sardinia is a small and secluded beach that is surrounded by cliffs that stand tall and nearly vertical. It is a truly amazing sight to behold, and one of the best places in the country for scuba diving. If you want some rugged adventure while you are in Italy, this is the perfect place to visit. You will find the village of Sas Linnas Siccas just kilometres away. It has been included on lists of the most beautiful places in the world numerous times. Gavitella Beach is located in Praiano, Salerno, which is a small but beautiful town that sits on the towering cliffs. There are numerous little coves that are amazing to explore. You can get some truly incredible views here, and there are numerous restaurants that offer incredible food. You will be able to get here from Praino main square by taking a short trip on a shuttle boat. It is certainly worth it because of its unparalleled beauty. You will want to lay out in the sun and never go back home. Goloritze Beach in Baunei, Sardinia, offers some of the most idyllic scenery in all of Italy. It does require you to hike for about an hour, but you will definitely be glad you did. This secluded beach isn’t overrun with tourists, and it has an incredibly peaceful vibe to it. It is one of the best places in the country to go snorkelling, so you’ll want to keep that in mind. If you are looking for something fun to do while you are here, this beach is a great place to visit. Grotticelle Beach in Capo Vaticano, Calabria, has granite rock cliffs that are over 120 meters tall. It is an ancient-looking place with a modern beauty that anyone will be able to appreciate. The sandy beaches here have plenty of cafes and restaurants that you can visit when you get hungry or thirsty. It is a wonderful place to go scuba diving, snorkelling or just swimming. The crystal clear waters will provide you with the perfect idyllic setting to relax in on your vacation. The Isola Bella is a small but picturesque island close to Taormina, Sicily, and it is home to many colourful exotic plants. 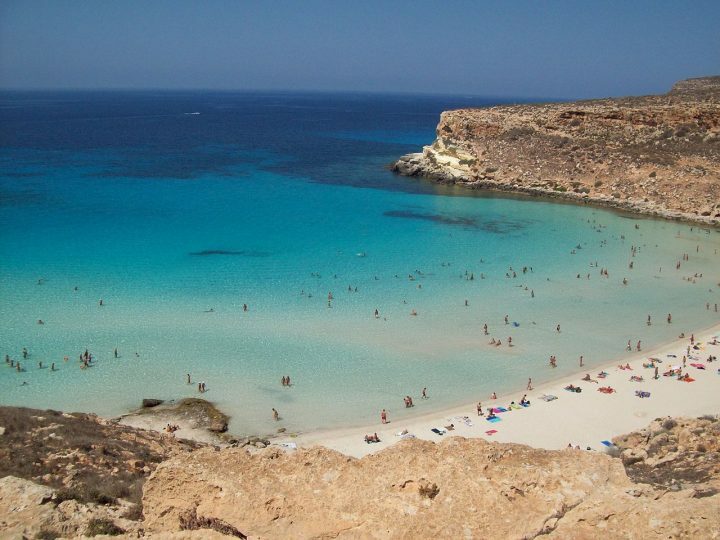 The pebbled beach has very clear blue water and it is an ideal place to relax, swim and get a tan. There is also a path that you can walk along from the island to the beach. It is a nature reserve and will give you the perfect opportunity to see all of the incredible beauty that Italy has to offer. Marina del Cantone Beach in Massa Lubrense has one of the most stunningly beautiful beaches in the whole country. It is a small and charming village that you will be sure to fall in love with from the moment you arrive. There are all kinds of places to get great food and drinks here. If you want to go snorkelling, this is the place to visit. It is by far one of the best beaches that this country has to offer. Marina Grande Beach in Capri island, Salerno, is expansive and attracts countless visitors each year. It has smooth white pebbles all over, and it is the ideal place to go for a nice long swim. There are lots of great bars, restaurants and cafes in the area. You will also find numerous boutiques to go shopping. Those who are interested in Italy’s nightlife will want to visit the Rocks disco. There is really something for everyone here. If you want to have a good time, this is an amazing place to visit. Mezzavelle Beach in Portonovo, Ancona, Marche, is known for its towering cliffs, clear water, and wide pebbled beaches. You can take a narrow trail all the way down to the ocean after parking your car. It makes for a great hike before you get into the water to swim. The waters are typically very calm, so it makes for excellent swimming, snorkelling and scuba diving. If you are willing to do a bit of walking, it has a lot of idyllic scenery to offer. You will find that Otranto Beach is yet another amazing place to visit in Italy. The entire village has a small town feel but is alive with people throughout the year. There are a variety of little cafes and restaurants that you can pop into for something to eat. There is also a more secluded beach further down that you can explore. If you want to escape the tourists for a while, you should really keep this in mind. Rabbit Island has a very extensive history and offers some unbelievable scenery that you will remember for the rest of your life. It is known for its especially clear waters, which inevitably attracts lots of scuba divers. It is also home to many loggerhead turtles, which are a protected species due to their endangered status. This whole area is alive with all sorts of marine life. Tuerredda Beach is located near Sardinia, and it is over 400 meters long. This is one of the more impressive beaches in the whole country. If you are looking to go swimming, snorkelling or even kayaking, this place is an amazing choice. You can rent kayaks to take out on the ocean if you are up for a real adventure. It attracts many people each year with its stunning natural beauty. There is a great restaurant here that offers the perfect place to relax with a drink and some delicious food. Oliveri is a small coastal town located near Tindari, the youngest Greek colony in Sicily, founded in 396 BC. The beaches are diverse, sandy and pebble here. The tongue of sand, known locally as La Lingua di Sabbia is a very interesting place to take your beach stuff on. There are several lakes around and the sunset from the beach is one of the best I have seen so far. The nearest places to visit are Tindari, Nebrodi and Aeolian Islands. We recommend visiting the mysterious Aeolian Islands and the nearby pilgrimage church of the Black Madonna with the archaeological park of the former Greek colony in Tindari which were destroyed by the Saracens. Lipari Islands also known as the Aeolian Islands are perhaps the most popular islands to visit around Sicily. You can get there by ferry from Milazzo town. There are 7 islands in total that forms this archipelago. The islands were created by volcanic activity and each of them is different. The black volcanic sand beach (Spiaggia Nera) can be found on the island called Vulcano. If you are looking for a beach located right in the centre of charming historic town surrounded by medieval buildings and unusual atmosphere than you should definitely visit Cefalu. Cefalu beach is different from any other mentioned here on the list and once you come here you’ll see why. When here, do not forget to taste local wine in any of numerous wine cellars and of course, pay a visit to the cathedral. Stroll around the beach to enjoy a unique atmosphere and climb up to the rock that towers above the town to enjoy perfect views of the sea. Northwestern part of the island is home to San Vito Lo Capo. This charming little town with its beautiful beach and Monte Monaco mountain is the perfect place for a long weekend, but also for a week or two! The town is located approximately 55 kilometres from the island’s capital – Palermo. The history of San Vito lo Capo dates back to about 300 AD when the city was founded by refugees from Rome. The chief of the refugees was named Vito. Scala dei Turchi is a cliff in the western part of Sicily which resembles Antarctica. The unusual colour of the reef is given by its mineral composition. The mixture of clay and carbonate, called saliva, gave the rock a clear, pure white shade. The area is so unique and strange that in August 2007, the town of Realmonte, under which Scala dei Turchi belongs, filed an official request to UNESCO to include this unique geological site on the World Natural and Cultural Heritage List to ensure its protection and respect of tourists. So this was a list of the best beaches in Italy along with the top places to visit around them. Of course, there are countless other beaches that should be included in this list, if you know about any, please let us know below in the comments!